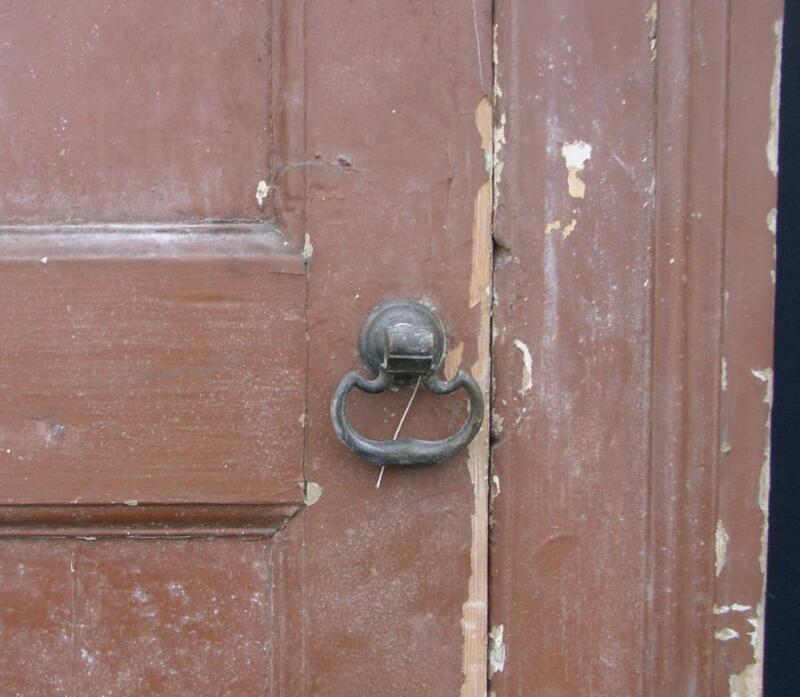 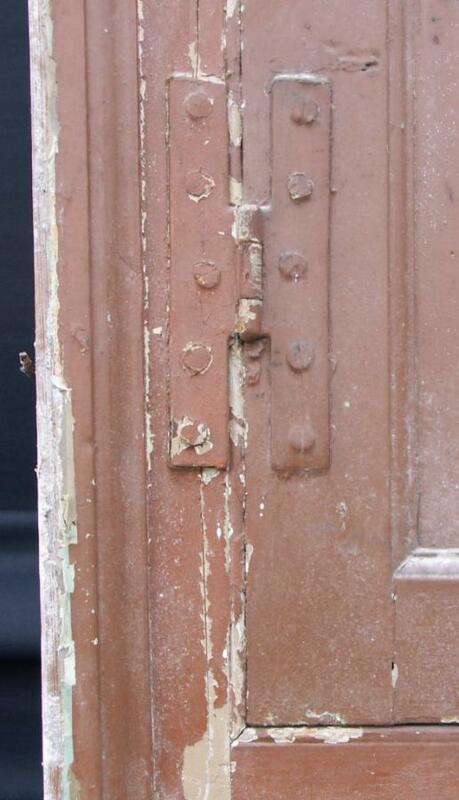 A 19th century antique pine cupboard door and frame with original H hinges and brass handle and catch. 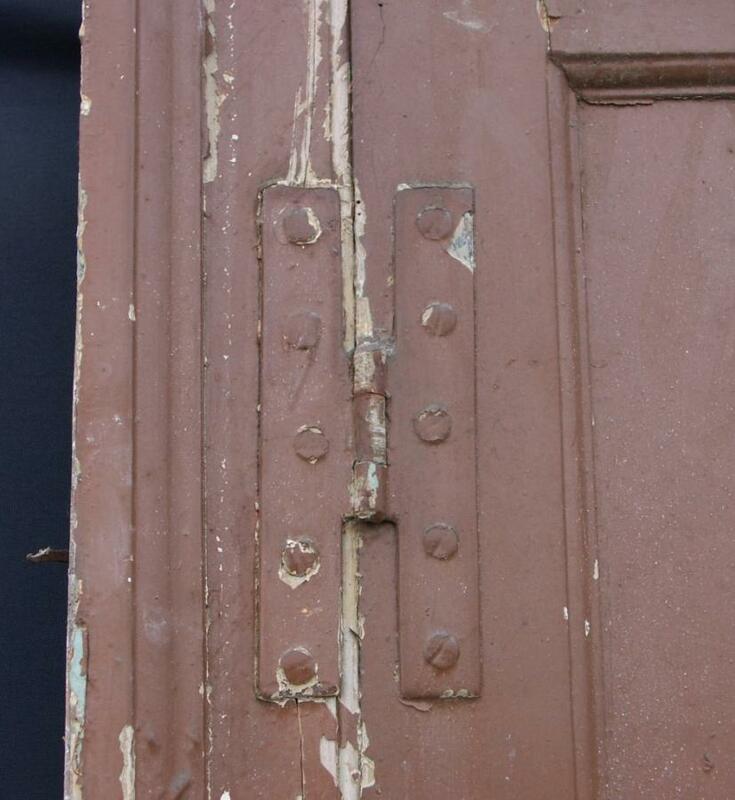 With old / original paint. 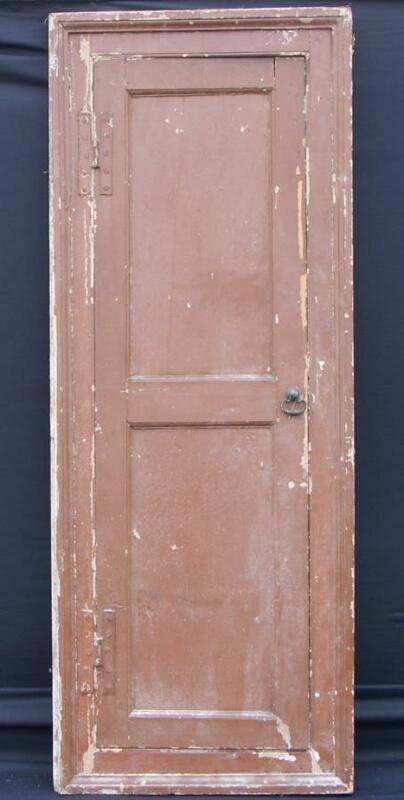 In inches: 22.25 max width by 58.25 max height by 1.75 max depth( with moulding),door;16 x 51.5.